When it comes to pre-teen girls, particularly 11-year old girls, parents can have a challenging time choosing the best toys for them – and you’re probably one of them. This is isn’t surprising as pre-teen girls are in a transition period between being little girls and young teens. At 11 years old, your daughter is experiencing faster physical and mental growth, especially cognitive skills. Even their hormones are changing in preparation for puberty so changes in attitude may also be expected. Their emotional maturity is also increasing, especially when you are on hand to guide her. Children love to experiment on their hair color. But parents will obviously be upset about permanent changes using actual hair dyes because of their adverse effects. 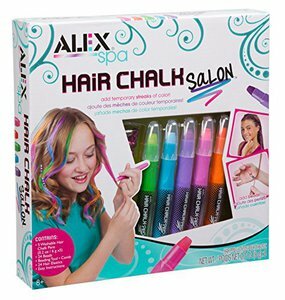 Fortunately, the colored hair chalk allow young girls to change their hair color quickly and easily. The chalk is also washable with shampoo and water, all without the allergic reactions common in hair dyes. Aside from the 5 hair chalk pens, the set comes with 2 dozens of metallic beads and hair elastics, and a hair beading tool. Hair color and hairdo in one. What's Great About It: The kit provides young girls with the tools for hair experimentation without permanent changes and side effects, a must for parents. Your daughter and her friends can express their unique personality through their crowning glory – and have fun, too. Plus, using the metallic beads promotes visual coordination and manual dexterity. Charm bracelets are always in style because these allow young girls to express their personalities, too. With the DIY Wear kit, your daughter and her friends can make their own personalized charm bracelets. The beads and charms can be customized according to their style, whether it’s whimsical or wacky. 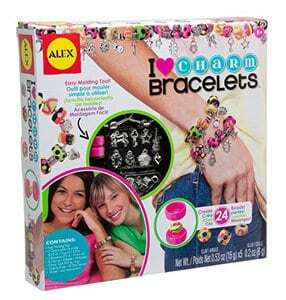 The set already comes with almost everything needed to make pretty charm bracelets – beads in plastic, clay and metal, eyelets, stick stones, jump rings, pins, bracelets, and charms. Your daughter just needs to add her creativity to the mix. What's Great About It: The kit allows young girls to experiment with colors and configurations in their personalized jewelry. While spending time with friends, they also develop better social relationships that contribute to their personal development. Young girls can learn faster when their five senses are engaged in the learning process. The Mr. 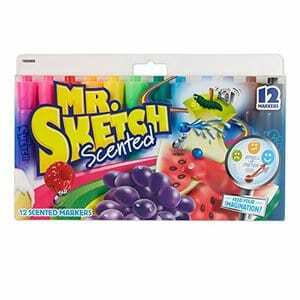 Sketch Scented Markers combine sight and smell stimulation to coloring – a great combo, indeed. The vibrant colors, such as magenta, turquoise blue, and purple, make coloring such a fun activity even for 11-year old girls, too. The fresh citrus-like scent makes the room pleasantly scented, too. 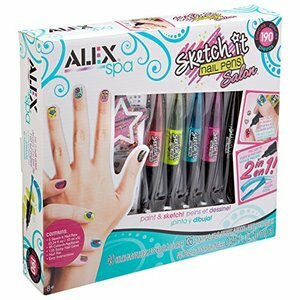 What's Great About It: The scented markers enhance the joys of drawing and coloring for young girls. By adding fresh citrusy smells, your daughter and her friends will be more encouraged to draw and color. Their increased time spent on these activities provides several benefits, such as better cognitive, artistic and social skills. You can even join in on the fun! Bath time has become an enjoyable activity for your young daughter. The Fun Bath Bomb adds an enjoyable fizz to the water while the natural shea butter nourishes her skin. 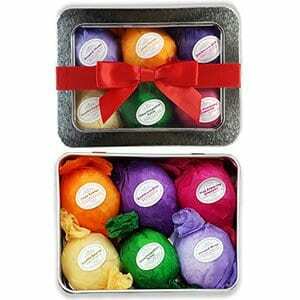 The bath bombs also come in several scents including apple pie and custard, banoffee pie, and strawberries and creams. Just drop the bath bomb into the tub of water, wait for a few minutes, and let the fizz develop. The water’s color will change and the bathroom will be filled with a pleasant scent. What's Great About It: We highly recommend it as an affordable yet practical handmade gift for 11-year old girls. Pre-teens love wearing their own jewelry to express their own style. 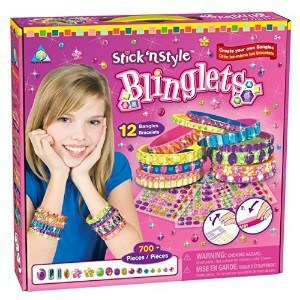 With the Stick N’ Style Blinglets, your 11-year old daughter can create her own personalized jewelry for herself and her friends. They can design their own jewelry or follow the decorate-by-numbers style, either of which will surely create fantastic results. The set contains 12 blinglets and 700 beautiful jewel stickers. What's Great About It: The make-your-own-jewelry set enhances your daughter’s sense of colors as it applies to designing personal accessories. Once she has created her own jewelry, she will derive a sense of achievement from it. 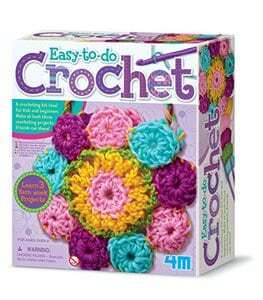 Crocheting is a great indoor activity for young girls. The Crochet Art Kit allows them to learn the needlework art without putting pressure on them while also letting them take pride of ownership. Your 11-year old daughter can learn to make simple coasters, place mats, and belts, among others, from the yarn, plastic needles and crochet hooks in the set. What's Great About It: Young girls learn not just the fundamentals of crocheting. Their manual dexterity, memory skills, and fine motor coordination are also enhanced even with just 30 minutes of crocheting daily. Even their sense of colors and patterns will be enhanced contributing to their personal style. Nail art is all the fad these days because it adds interesting colors and patterns to plain fingernails and toenails. Young girls have fun experimenting with their nails using the Spa Sketch It Nail Pens, whether it’s butterflies or stars. The set already comes with 5 nail pens in different colors, color appliques, and nail gems, among others. What's Great About It: The professional-grade polish lasts for a few days but can be easily removed, too. Girls can make countless color combos and designs to keep them entertained for an hour or two. The kit also comes with easy instructions for making great nail art. Young girls are also becoming more conscious about their physical appearance, even appreciate their mothers’ day spa sessions. The Day at the Spa kit is a great way to let them enjoy the spa experience at home and get a great manicure and pedicure. The 30-piece set already contains a nail polish and glitter polish, press-on nails, and nail dryer. To add value to the kit, it also comes with a list of spa party ideas and instructions. 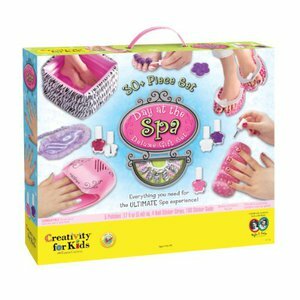 What's Great About It: The day spa kit encourages young girls to take good care of their physical appearance, even for little things like nails. This also promotes stronger social interaction when it’s played with friends. Even young girls have excess physical energy that can become disruptive when not directed toward the right activity. This pogo stick is a great way to let your young daughter let off excess energy while also enhancing her physical skills, particularly muscle coordination. This also has several safety measures that will put your mind at ease while she’s jumping around like a kangaroo. What's Great About It: We especially liked the safety features in the pogo stick, especially as we don’t want kids to hurt themselves on hard pavement. The handgrip and frame are covered with foam, the foot pegs have a non-slip material, and the bounce tip has a wide base. We also recommend it for physical exercise and play. Eleven year-old girls already have small trinkets that they like keeping in boxes. 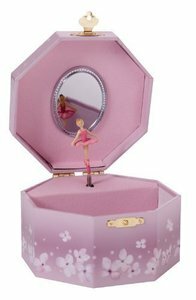 Instead of just a plain jewelry box, this Ballerina Jewelry Box has a beautiful addition – a dainty ballerina twirling in place to the tune of The Swan Lake. If you have a ballerina for a daughter, this is a perfect gift. What's Great About It: The jewelry box is just the right size for a few trinkets, such as a pair of earrings, ring and necklace. We love that it can also be a decorative piece in a girl’s bedroom, perhaps one that can be passed on to the next generation. Young girls are beginning to have a full social calendar. So, it’s important for them to keep time so that they can also know the value of punctuality, a trait useful in personal and professional appointments. 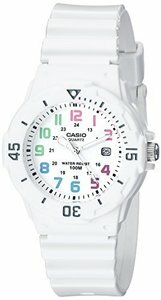 This Casio women’s watch is just right for your 11-year old daughter because of its trendy design and accurate timekeeping. What's Great About It: We love that it has a hip design – different pastel colors, black indices coupled with white face, body and strap – but it’s also practical. The molded resin band is durable while the watch is water-resistant up to 100 meters so it’s perfect for a young girl’s active lifestyle. Biking is such a great activity for pre-teens because it gives them the opportunity to develop their physical, mental and social skills. 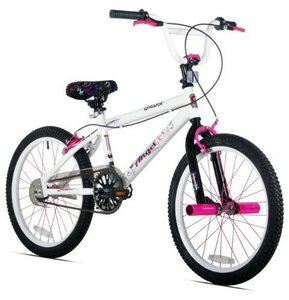 This Angel Girls’ Bike has several features that make biking more enjoyable, too, such as the low seat profile, dual hand brakes, and two feet pegs. Even the sturdy steel fork and frame, as well as the 2o-inch rims, will soothe the fears of parents wary of letting their precious daughters go biking. What's Great About It: When your young daughter uses it regularly and properly, she will soon have stronger muscles, better co-ordination and balance, and even more friends. Plus, it’s just the right size for her age and skill level. With the school and play schedule that young girls keep now, it isn’t surprising that they are likely to be tired after a long day. You can let them relax without videogames by giving them this personal foot spa to soothe their tired feet and legs. 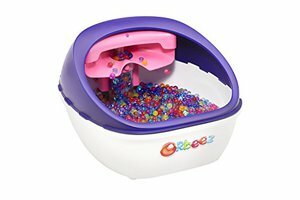 The kit comes with a foot spa basin for soaking the feet in and 2,000 Orbeez pieces to massage them. What's Great About It: Let’s just say that you, the parent, will have one less thing to worry about a grumpy kid coming home from school. Just fill the pan with water, turn on the foot spa, and let your daughter enjoy the massaging action. You may even want to use it, too, after a tiring day at work, if your feet can fit in the basin. 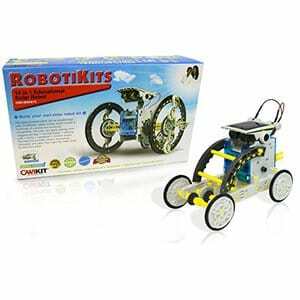 Nowadays, girls and boys can tinker with electronics instead of being limited to so-called gender-specific toys. If you have a budding scientist for a daughter, you can give her this electronics discovery kit. Young girls will love making a wide range of simple yet useful electronic devices, such as flashlights, alarm systems, and photo sensors. What's Great About It: We like the fact that there are 30 pieces that can be used in building over a hundred models. 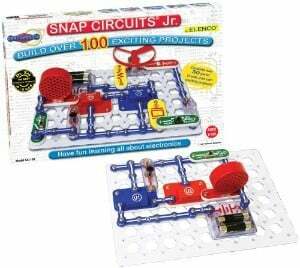 The snap-on parts, working electrical circuits, and full instructions allow girls to spend hours learning and experimenting. The pride of accomplishment that comes after building a working device cannot be beat, too. While more mature play activities, such as day spas, are becoming more popular with 11-year old girls, parents are well-advised to encourage them to draw and color. These activities encourage concentration, color coordination, and camaraderie, which are important for overall development. This 120-piece Deluxe Art Set will unleash the artistic creativity of young girls, especially among the artistically gifted. 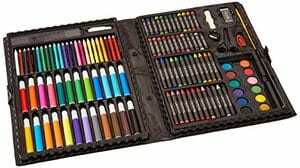 What's Great About It: This is a complete set that will make a young girl excited about drawing and coloring again. There are pastels, watercolors, pencils and markers as well as coloring tools, which can be placed inside a portfolio bag when not in use. Even adults (i.e., parents) can use it. Playing with Lego is for kids and adults. 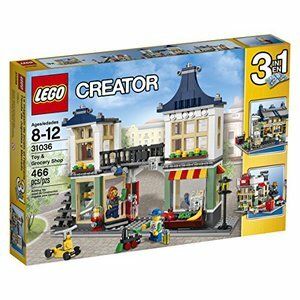 Parents and their children actually play with the blocks together so it makes sense that this Lego set is a popular gift, too. The set can be configured to become a post office, a grocery shop, or a newsstand complete with the doll figures, among others. The scenarios that can be made are virtually countless, especially when coupled with other Lego sets. What's Great About It: This isn’t suitable for children under 3 years of age because of choking hazard. But when your 11-year old daughter and her friends play it, it’s an excellent toy for building creativity, problem-solving skills, and leadership skills. Shooting an object into a hole is an excellent way of encouraging hand-eye coordination and muscle finesse – and it applies to the Kan Jam game set, too. Basically, a Frisbee is slammed into an opening while others prevent it from getting in. The set already comes with goals, flying disc, labels and instructions, a must for people who have yet to play the game. 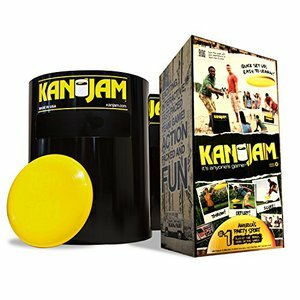 What's Great About It: Playing the Kan Jam improves physical reflexes, balance and agility, as well as accurate shooting. Plus, it encourages team play while giving kids the chance to exercise outdoors – without them knowing about it. What's Great About It: This remote control toy is so small that the big boys will probably not like it – but the young girls will! The toy can also perform several tricks that will entertain young girls for several minutes, as well as encourage their interest in electronics. Flying the toy also demands hand-eye coordination and mental calculations. Think of a logic puzzle and marble run in one game and you have a reason to buy it for your 11-year old girl. The goal – landing 3 marbles – may sound simple but the process of getting there is challenging, especially when solving the puzzle. Even adults will have fun playing it, an opportunity for a family bonding session. The set comes with a game grid, towers, challenge cards, target piece, and marbles. What's Great About It: We like it that it’s easy to set up and understand but challenging to play and win. 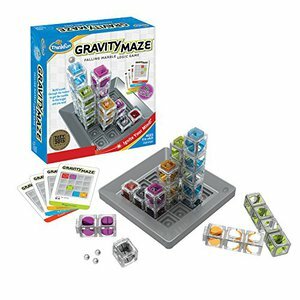 Plus, it’s a great game for building problem-solving, planning and precision skills. Playing with robots is also a girl’s game! With this 14-in-1 Solar Robot, 11-year old girls can build on their basic and advanced skills in building robots, a step toward understanding science and technology more. There are no batteries required, too, since only solar power is required. What's Great About It: This toy encourages young girls to look at the possibility of robot toys alongside their dolls. Playing with it builds their understanding of science and technology, artificial intelligence, and solar energy, too. These may appear to be advanced concepts but there’s no better time than now. The toys and gifts should withstand the uses for which these were designed for, such as a sturdy frame for the bike. The items should actually be useful for an 11-year old girl, whether it’s for playing or for storing things or for personal hygiene. Learning opportunities. The toys must provide them with the opportunity to discover, experiment and learn things that will be useful in their daily lives. The toys shouldn’t pose any safety hazards from the materials used, the design and construction, and actual use. We also read consumer reviews and tested a few of these items for ourselves. We didn’t want to leave anything to chance since kids’ safety is always a priority for every parent. At 11 years old, your child will be experiencing significant physical and mental growth because of the transition between being a child and a pre-teen. She will likely be in secondary school, a time when her social skills, mental acuity, and emotional maturity are likely to undergo significant changes, too. Indeed, this is a time filled with excitement and anxiety for both your young daughter and you, her parents. Her body will start getting the classic feminine shape, especially with larger breasts and wider hips. She may even grow as much as 3.5 inches and get her first period. She may become more conscious of her physical appearance. Be sure to respect her need for privacy, especially with her developing body. But it’s also important to talk to her about these physical changes in a positive way. Her increasing cognitive capacity, language skills, and abstract thinking skills means that she’s looking at life in a different manner. She may have an easy time discussing the facts of events (who, where, when and how) in her life but not the reasons for them (why). You should encourage them to make more decisions about themselves or contribute to these decisions. You can also encourage them to discuss the multiple consequences of their actions and talk about their daily issues. Her social and emotional skills are being tested more often, especially in school. She may still be disturbed by negative experiences, especially when these have an impact on their self-identity. You should make yourself as available as possible to explain the ways of the world and to guide them in about the right values to deal with their challenges. You may find them to be more independent but your guiding hand is still a must. Of course, keep in mind that your young daughter’s sense of identity is closely tied with their physical appearance and worldly possessions. You can encourage a stronger sense of identity by giving her the right toys and gifts. We hope that we have been of help in choosing your 11-year old girl’s toys and gifts. 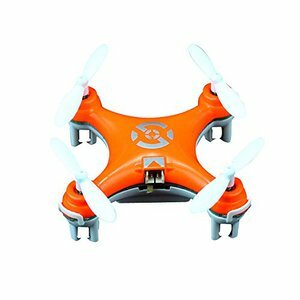 You will find that most of these gifts are sensible, useful and affordable so you have no problem buying them.